The Australian National Council on Drugs (ANCD) has released a report into the opinions of young people around AOD issues. With the help of the National Drug and Alcohol Research Centre (NDARC), 2,300 young people aged 16-25 were surveyed. 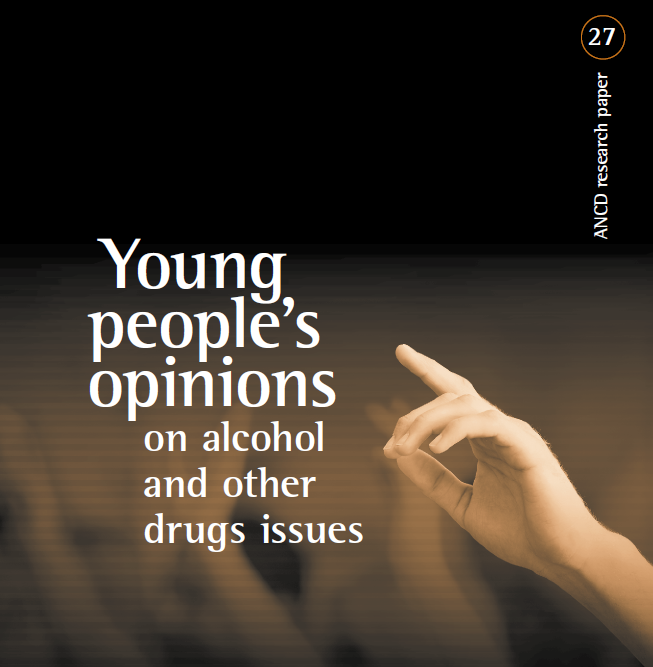 Young people's opinions on alcohol and drug issues. Supporting access to drug treatment services, including drug withdrawal treatment and residential rehabilitation. Supporting the legalization of personal use of cannabis, with a preference for education and treatment being the first line response by governments.